Are you a company executive in charge of managing an organizational transformation? Are you a consultant in that field? Are you studying change management? 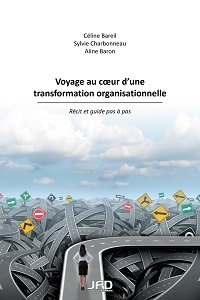 Then this new book by Full Professor Céline Bareil (Management), Voyage au cœur d’une transformation organisationnelle, is sure to interest you. Co-authored with two members of the Brio Conseils team, Sylvie Charbonneau and Aline Baron, it will give you the tools to better understand, prepare for and demystify your planned transformation. The book follows Léa, a positive, dynamic and determined executive, step by step as she manages a major organizational change project, with all the associated challenges. And who is Léa? She is a fictitious character based on the three co-authors’ many years of experience, representing a typical executive in today’s firms and organizations. They analyze her successes and failures, using a five-step methodology: understand, buy-in, participate, pass on, and evolve. Then they suggest 20 specific tools to help with the process, explain 20 lessons to be learned from Léa’s trials and tribulations, and ask 100 thought-provoking questions to help readers delve into the subject more deeply. Professor Bareil holds a PhD and a Master’s in work and organizational psychology from the Université de Montréal. She has been on the HEC Montréal faculty since 1997. 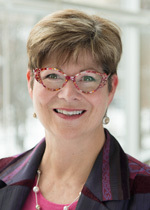 She is associated with the Pôle Santé (health research centre), the Centre d’études en transformation des organisations (CETO) and CEFRIO, and is interested in the implementation of organizational change and transformation projects, the concerns of individuals undergoing change, human issues and organizational development. Before joining the School, Professor Bareil worked in organizational development for various large organizations. Her publications include Gérer le volet humain du changement, for which she received the award for Best Business Book in Human Resources Management from the Coop HEC Montréal in 2005. She has spoken on many occasions both in Canada and abroad and published numerous professional and academic papers. In addition, she has developed two change management methodologies that are available to the business community. In May 2014, she was awarded the 2014 Prix du mérite professionnel from the Société québécoise de psychologie du travail et des organisations (SQPTO). Sylvie Charbonneau and Aline Baron are the President and Executive Consultant, respectively, of Brio Conseils. Voyage au cœur d’une transformation organisationnelle, by Céline Bareil, Sylvie Charbonneau and Aline Baron, Éditions JFD, April 2016, 158 pages. Available at the Coop HEC Montréal.